San Francisco’s Curran theater is back with a new vision, nearly 100 years after it welcomed its first audiences. Inspired by the unique entrepreneurial spirit of the Bay Area, as well as Carole Shorenstein Hays’ lifelong passion for creatively daring, cutting-edge material, the Curran provides a home for a handpicked selection of the most exciting stage works being conceived and created anywhere in the world, all while injecting the San Francisco cultural scene with special programming, educational outreach and community engagement programs. 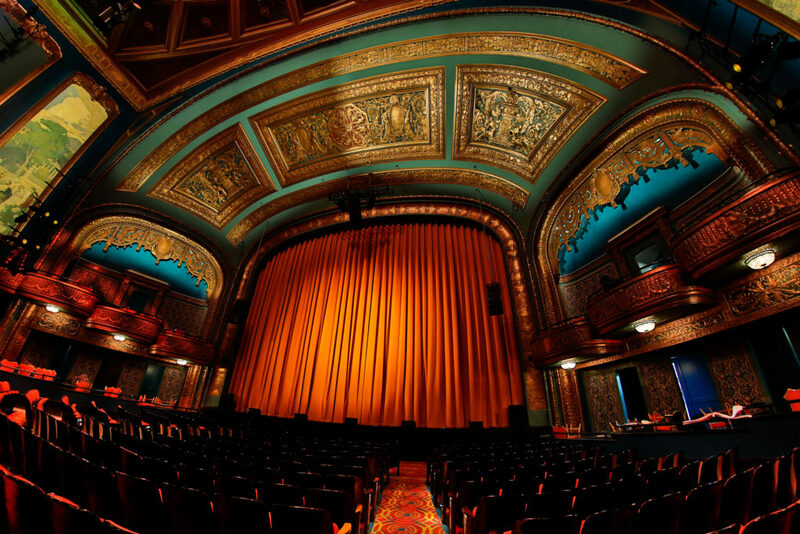 Following an extensive two-year renovation project, the historic Curran theater re-opened as a full-sized venue in 2017 with the groundbreaking Tony Award®-winning musical Fun Home, which was followed by the Tony-nominated production of Eclipsed, the Tony-winning show The Encounter, Taylor Mac’s piece de resistance A 24-Decade History of Popular Music, Steve Martin & Edie Brickell’s Tony-nominated musical Bright Star, the new David Henry Hwang & Jeanine Tesori musical Soft Power, the World Premiere production of the new Go-Go’s musical Head Over Heels which played Broadway’s Hudson Theatre last fall, and, most recently, Tony Award-winning Dear Evan Hansen. In addition to full productions, the Curran’s award-winning Show & Tell series welcomes speakers and presenters to engage with Bay Area audiences in a fresh way. This spring, following widely-acclaimed, sensation-stirring, and sold-out engagements in London and New York, Curran will host the West Coast Premiere of the Good Chance Theatre, National Theatre and Young Vic production of The Jungle by Joe Murphy and Joe Robertson for a strictly limited engagement under the direction of Stephen Daldry and Justin Martin. In the fall of 2019, the Curran will be home to the smash-hit, six-time Tony Award-winning play, Harry Potter and the Cursed Child.